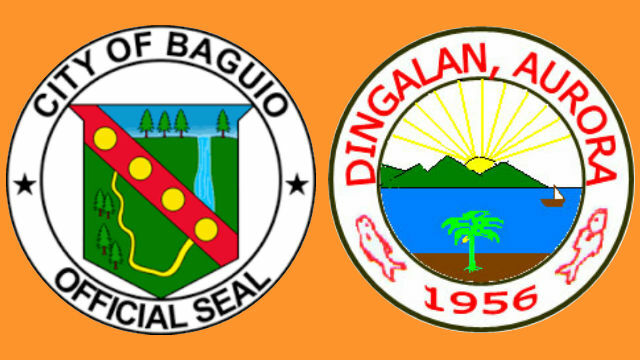 BAGUIO CITY – The City Council approved a resolution declaring a twinning or sisterhood ties between Baguio City and Dingalan, Aurora. Dingalan is a fourth-class municipality in the southernmost part of Aurora Province at the foot of the Sierra Madre Mountains and is generally hilly and mountainous with a total area of 30,455 square kilometres. According to the 2015 Census of Population conducted by the Philippine Statistics Authority (PSA), Dingalan has a population of 25,482 people and their source of livelihood is more on agriculture and fishery. The resolution authored by Councilor Elmer Datuin stated that it is but proper for the local government to reciprocate the resolution of Dingalan, Aurora by declaring a twinning or sisterhood ties with the said municipality to develop harmonious relationship and promote exchanges of best practices among the officials and people of the two local governments. The resolution also authorized Mayor Mauricio G. Domogan to enter into a memorandum of understanding on the establishment of the sisterhood ties with his counterpart from Dingalan, Aurora. Further, the resolution directed the Philippine International Sisterhood and Twinning Association (PISTA) Baguio City chapter committee to prepare the necessary documents to effect the establishment of the approved sisterhood ties as mandated in Administrative Order No. 88, series of 2013. Section 3, paragraph (f) of Republic Act (RA) 7160 otherwise known as the Local Government Code of the Philippines stated that local government units may group themselves, consolidate or coordinate their efforts, services and resources commonly beneficial to them. Previously, the Department of the Interior and Local Government (DILG) initiated the sister-city or town-twinning program in which local government units may establish with their counterparts within the country or abroad to promote development initiatives mutually beneficial to the concerned local governments. Local government officials believe that the best practices, expertise and experiences of various fields of governance may be shared and taught such as, but to limited to, local culture and tourism, business and investment promotion, product promotion, disaster risk reduction and management, agriculture, solid waste management, education, local fiscal management, bureaucratic reforms, public employment service, cooperative programs, information technology and tax collection strategies. Dingalan admitted that as a younger sister and neophyte in the different ventures of government administration, the municipal government is grateful to what Baguio City may impart wholeheartedly to help in spurring growth and development in their territorial jurisdiction in the future.